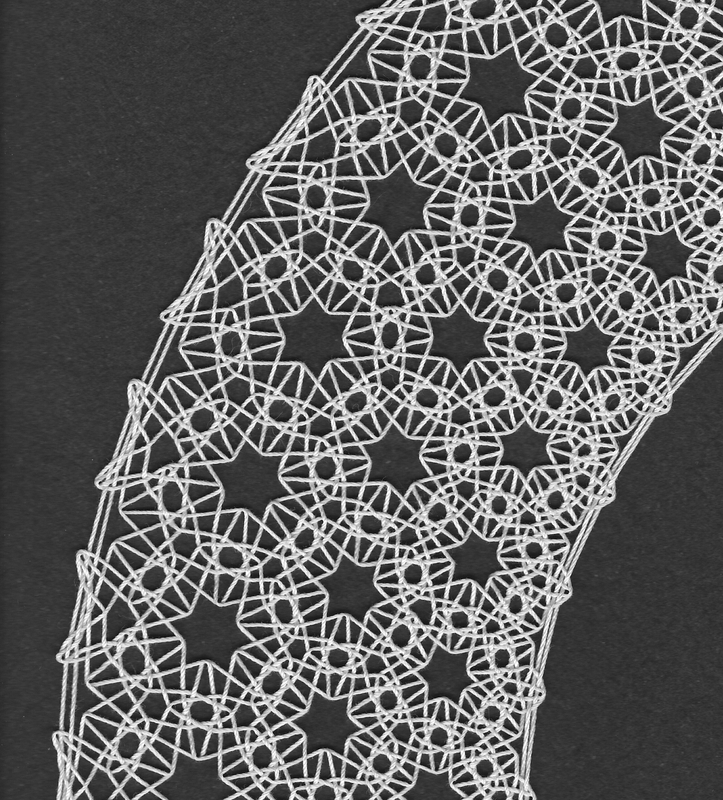 This was a study of a new lace ground in preparation for making Delle Caustiche. Playing around with a star pattern wrapped around a circle. It is kind of like the classic rose ground but the squares are squashed into diamonds so that six of them will fit around each star hole.